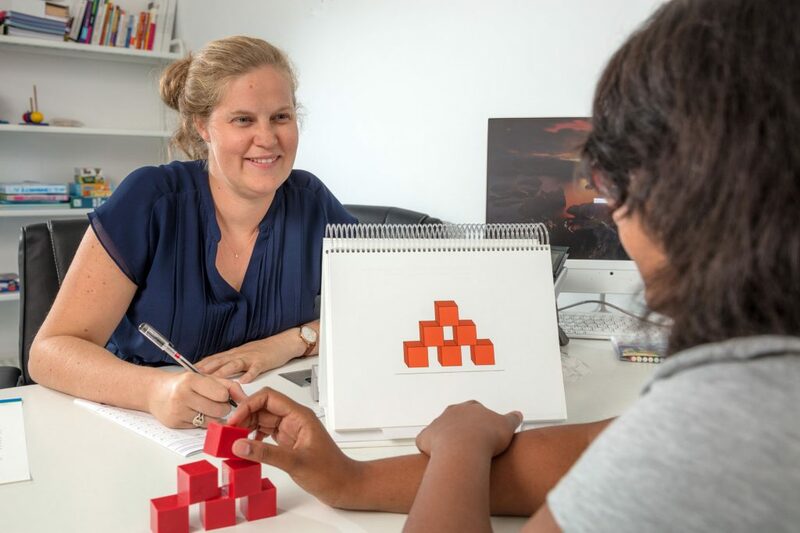 Developmental neuropsychology is a specialty in the field of psychology that studies the relationship between brain function and behaviour in children and teenagers. The aim is to identify strengths and weaknesses to have a better picture of their global “learning profile”. The main cognitive functions are: attention, memory, executive (including: impulse control, planning, flexibility) and visual spatial.Neuropsychology differentiates itself from clinical psychology since it is more focused on learning disorders. A learning disorder is defined as a specific and isolated disorder whose causes involve a cognitive dysfunction. Learning disabilities can be limited to a specific function: language, memory, attention, maths … or extended to several different areas. Some disorders occur in children whose cognitive/intellectual functioning is average or above average and some can come from a global delay of cognitive development. When is Neuropsychological Assessment useful? For any child who encounters difficulties in daily and/or school activities. The difficulties may vary from one child to another: difficulties in paying attention, problems of hyperactivity or impulsivity, reading and/or writing difficulties, speech difficulties, behavioural problems, difficulties in coordinating movement. An assessment is also beneficial when there is a suspicion of intellectual precocity (gifted children) or developmental delay. One of the critical points in developmental cognitive disorders is the accurate diagnosis of the cognitive functions that are affected. Which Neuropsychological follow-ups can be offered? In general, before the implementation of any treatment, whatever it may be, it is essential to have a very precise and multi-dimensional neuropsychological assessment to clarify which functions are concerned. Neuropsychological treatment is based on the theory of brain plasticity, meaning we can teach the brain to improve certain functions. Every child’s profile is unique and so is the course of treatment offered. For children suffering of ADHD/ADD or impulsiveness an executive and attention functions training will be helpful to improve attention and impulse control skills. For teenagers suffering with learning difficulties, a work methodology cycle can be offered to help them gain autonomy in their daily school work (planning, organising, efficient studying…).